It’s the day before Chanel’s haute couture autumn/winter 2015 collection is shown and in the eves of the company’s famous Rue Cambon headquarters, with its black, beige and mirrored interior, is a warren of rather more modest spaces. They’re painted bright white, flooded with natural light and furnished with nothing more attention seeking than rows of small sewing tables. Around them, quietly and with complete focus, the petites mains – literally translated as small hands - who staff this iconic house sit, putting the finishing touches to garments. These are the technicians responsible for the making of haute couture. They work behind the scenes cutting, stitching, pressing... Each piece is realised from start to finish by a single pair of hands. Haute couture is made with love and, their low profile aside, here are the most accomplished protagonists of their chosen métier in the world. Some are dressed in the white coats – or chemises – that are the uniform of the couture atelier, others in understated daywear. 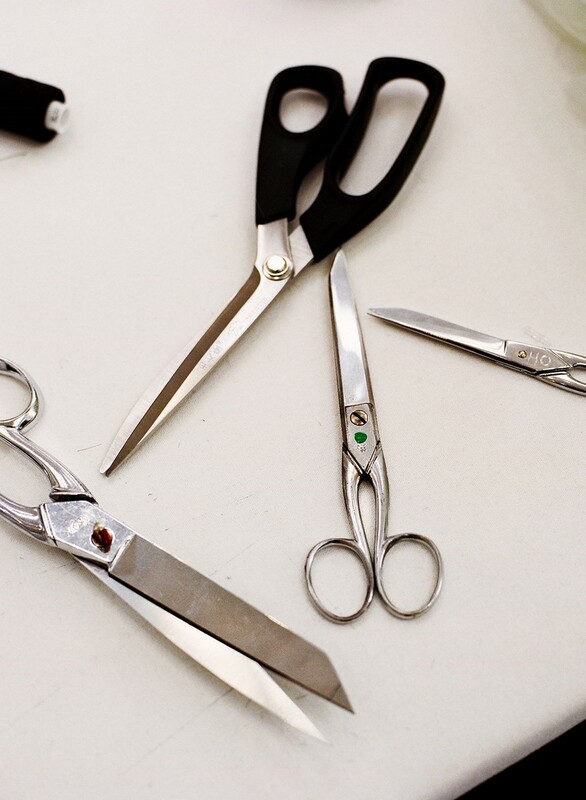 All are armed with pins, scissors, thread – the low-tech tools of their trade. They sit in relative silence. There’s no whirring of a sewing machine here. Everything is executed entirely by hand. Long hours are required. It’s not unusual for a single look to take upwards of 300 hours to produce. It’s midday and work will continue until 10pm or beyond that should further alterations be called for. "It’s not unusual for a single look to take upwards of 300 hours to produce"
To the sides of tables are headless dummies where finished or soon to be finished garments rest. Attached to their necks are individual name tags. These must not be noted or photographed, visitors are firmly informed. Each is based on a single client’s body shape and their identity, like the price of the precious clothing that hangs on them, is never revealed. On one door in particular a sign reads: "Atelier Josette". Josette is the "première" of one of two Chanel "tailleur" [tailoring] ateliers. She presides over a staff of 28 and is responsible for taking their work up and down winding flights of stairs to show it to couturier Karl Lagerfeld. It is M Lagerfeld who sketches each of the original designs and he sees every one three times during the run up to the show: once as a toile – the garment cut in humble calico - at which point any materials and embroideries are decided upon, a second time in the correct fabric complete with ornamentation allowing for any adjustments and a third time when final tweaks are made and looks are accessorised and fitted onto the models who will ultimately wear them. Before arriving at Chanel eight years ago, Josette was with Yves Saint Laurent for 15 years, with Azzedine Alaïa for five before that and – briefly – at Jean-Paul Gaultier in the first place. That, it goes without saying, is quite a pedigree. "I adore Karl," she says now, her pretty face lighting up when she does so. "Il est tres gentil. Each of his sketches is so revealing. Every detail has significance. They are great to work with. I think when he draws he is always thinking of how the look will turn out. Of course some things are more difficult. When we work in neoprene, or in lace…"
Josette is passionate about her craft and the great house she devotes her professional life to. It would take her a good 30 minutes to describe what Chanel means to her she laughs. "So much." And given the proximity of the deadline, she certainly doesn’t have that to spare. When pressed she will say: "Chanel is an allure, a way of doing things, a savoir faire. 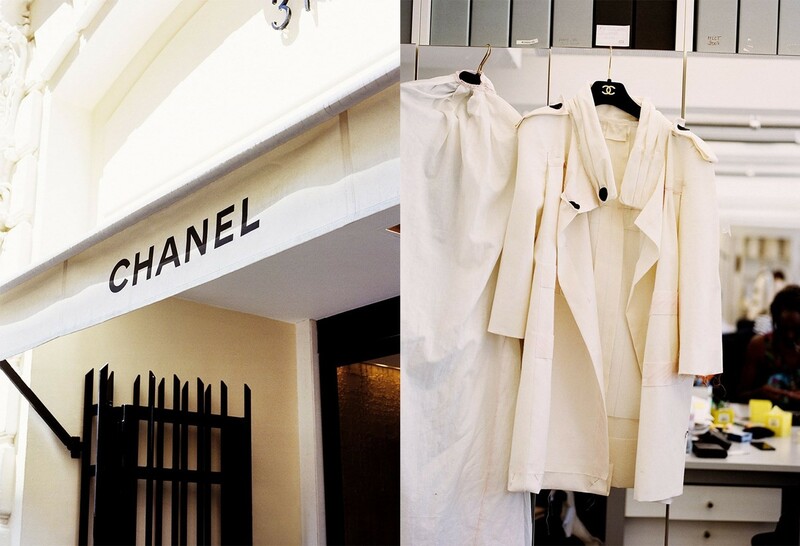 Chanel is magic." 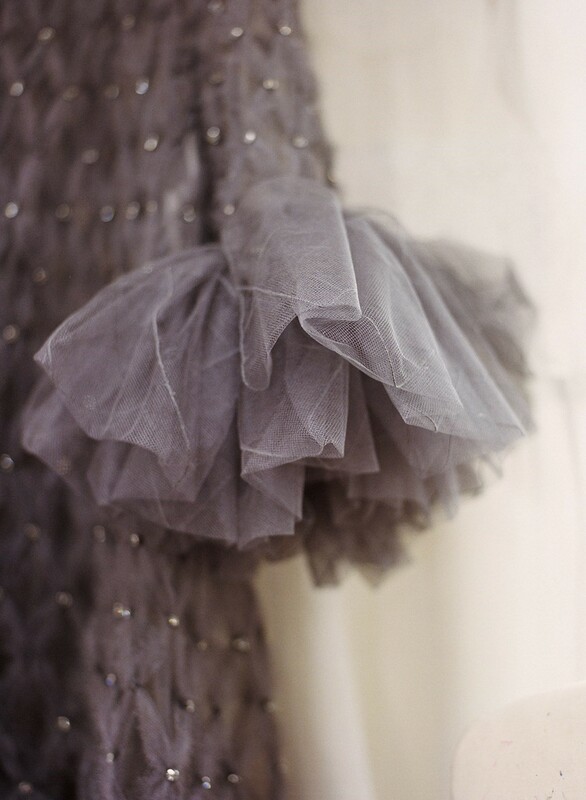 As with all couture houses, ateliers are divided into tailleur and flou – the workshops where softer garments are made. Olivia – who has her own sign on a different door – is première of the latter, arrived less than two months ago and is the youngest to hold that position at Chanel. She has risen through the ranks at a speed that is unprecedented. Olivia worked for nine years at Givenchy before moving to Chanel. "For me Chanel is the best in the world," she says. "I am so honoured to work with Karl. It’s a magical house, incredibly well organised. I am very, very happy to be here." Olivia finds Karl "géniale", she continues. "When he explains the sketches to us he gives us information, small details that we perhaps hadn’t thought of. It’s not easy – I’m not saying that – but it’s precise, his explanations are incredibly precise. For that reason, when we give him the toiles it’s usually pretty close to what he wants from the final result. There is very little re-working and that gives us more time." Despite an unstable economy and the fact that a single haute couture garment may cost a five- or six-figure sum, business is healthy. "Very often when people begin to think that haute couture will disappear, quite the opposite happens," Bruno Pavolvsky, Chanel’s president of fashion told me for AnOther three years ago now. "Haute couture, for Chanel at least, and I hope for the others, is a concentration of everything. It’s a lot about research and development, about new limits in design, new limits in the selection of the fabrics. The studio takes the time it needs to ensure that every silhouette is perfect. We have about 1,000 potential haute couture customers in the world, more than there were 10 to 15 years ago. These customers want to have this very special link with the brand. There are more and more people in the world who want such rare products… Cars, houses and so forth. 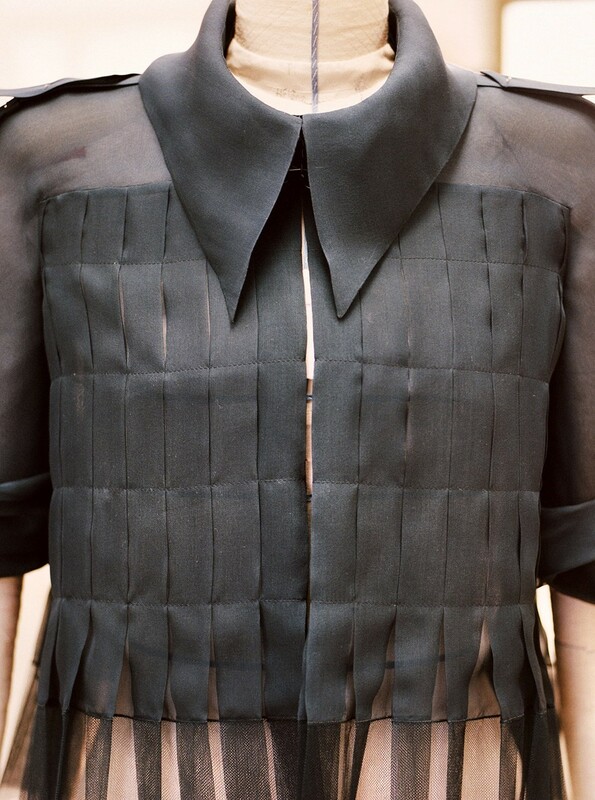 Haute couture is part of that." Chanel headhunters scour Paris’s specialist schools – most famously the Chambre Syndicale de la Couture Parisienne’s own and, for younger seamstresses, the Lycee Octave Feullet – in search of gifted interns who, should they survive the stringent training, will take haute couture into the future. "We have found a new generation of people who are interested in working in this way with us," Pavlovsky said. For her part, Olivia knew early on that fashion would be her chosen vocation. She watched her mother sewing as a child and studied her craft in her home town of Lyon and then in Paris. "It’s a passion," she says. "I come to work each day for pleasure not out of obligation. I have wanted to do this all of my life."